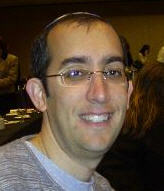 Jason is a graduate of Yeshiva University (B.S.) and Fordham Law School. Mr. Jacob Segal, Principal of Investors Research Group (IRG) is an active investor/advisor to Southern California based companies with sales in the $ 3- 20 million dollar range. His investment experience includes transactions with companies in the airport concessions business, financial service marketing, wire and cable manufacturing, radio programming distribution,medical devices and bakery equipment. Mr. Segal is and has been an investor in Creative Host Services, Thaya Communications, Suede AM Pack, American Equity Trust and Rhythm Radio. Additionally, Mr. Segal participated in the acquisition, management and disposition of over $200 million in real estate investments including apartment buildings, shopping centers and office buildings. Mr. Segal received his Bachelor’s in economics and statistics from the Hebrew University in Jerusalem and his MBA from UCLA. Investors Research Group (IRG) is a private investment group that invests in Southern California based companies with sales in the $3- 20 million dollar range and in real estate investments in the $2- 20 million dollar range. For the past twelve years, Teri has provided strategic business development and environmental consulting services to a broad range of clients, including municipalities and privately held companies in the United States and abroad. Her consulting specialties are debt and equity financing for small businesses and implementation of environmental technologies, while the range of Teri's municipal work has included strategic development and implementation of legislatively mandated environmental outreach programs in the areas of household hazardous waste, storm water issues, and used motor oil recycling, Teri is currently serving as Chair of the Southern California Israel Chamber of Commerce. She holds an MBA from Pepperdine University and an MA degree from The Hebrew University in Jerusalem, having received her BA degree from UCLA. Mr. Brandes is a veteran of an Israeli Defense Forces' Special Reconnaissance and Intelligence Unit. He began his career as a Security Agent for El-Al Israeli Airlines in Los Angeles. Since joining the Chameleon Group he formed the Consulting Division and developed training programs in "Emergency Response", "Predictive Profiling" and "Security Engineering". Mr. Brandes has an extensive project management and business development experience from international and federal projects done with companies such as SAIC, Boeing and Hewlett Packard. He is the Author of the "Terrorist Threat Mitigation Reference Guide" and a lecturer and presenter in corporate and government settings, worldwide. Mr. Brandes has a B.A Degree in International Development Studies from UCLA. David B Gardner has more than 24 years experience as an international lawyer in California as well as England and Hong Kong. 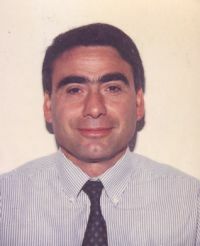 He currently practices as an Attorney with his own firm in Los Angeles specializing in U.S immigration and naturalization law (www.americanimmigrationlaw.com). David is a co-founder and continuing member of the Executive Board of the Southern California Israel Chamber of Commerce and has organized numerous programs dedicated to promoting business in and with Israel. He is currently directing the educational and training programs of the SCICC including its scholarship and professional practical training programs facilitated through the American Israel Economic Education Foundation and the California Israel Economic Education Foundation. He is a co founder and a director of the Spirit of Youth Foundation (www.spirit-of-youth.org), past president of Congregation Bnai David Judea in Los Angeles and was awarded the honor of Cavalierri for legal services to the Italian Government.